Magni is one of those motorcycling names, like Egli, that hovers on the periphery of stardom. 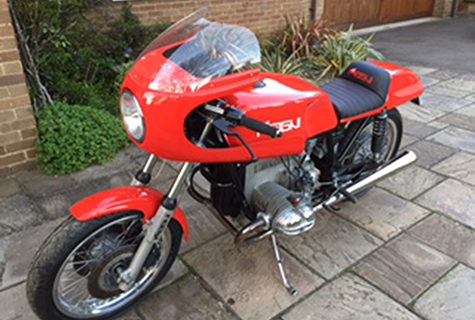 Egli is inseparable from Vincent, but Magni is associated with MV Agusta, Honda and Moto Guzzi. 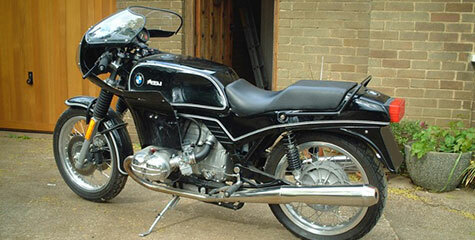 Some of the earliest Magnis, though, had BMW power. 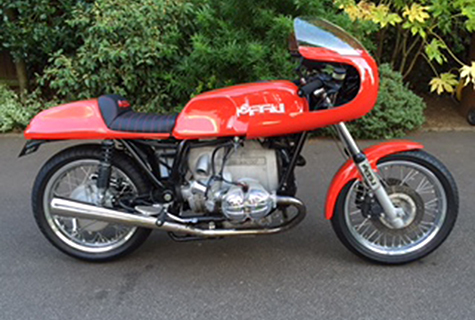 The MB1 shown above uses a heavily modified airhead taken from a BMW R80, bored out to a litre. Paint stripped and colour changed by Proline to the correctly matched original red. Now part of an enthusiast's BMW bike collection.